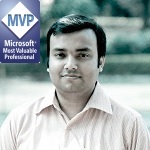 Sandesh has a 8 years of total professional experience in a software development. He first handled the computer in his school days when he was in 7th std working on Lotus. In summer vacation, the school authorities allowed him and other students to use the computers for practicing Lotus and playing different games . He has done computer engineering. 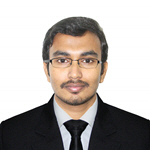 Currently he is working in Net 4.0 framework. Even though he is using .Net 4.0 framework for development but still he has not got a chance to work with newer technologies like MVC, WCF etc. However he always try to learn these technologies from his end and eagerly waiting for a chance to work with the newer technologies like MVC, WCF and Silverlight etc. Technical Lead Hitachi Solutions Ltd. I wanna travel the universe and beyond that!